These delicious banana cream pie “ice cream” sandwiches really hit the spot when you’re looking for a sweet treat. They are perfect for parties or any night of the week, because they whip up in a snap and will keep fresh for days in your freezer. 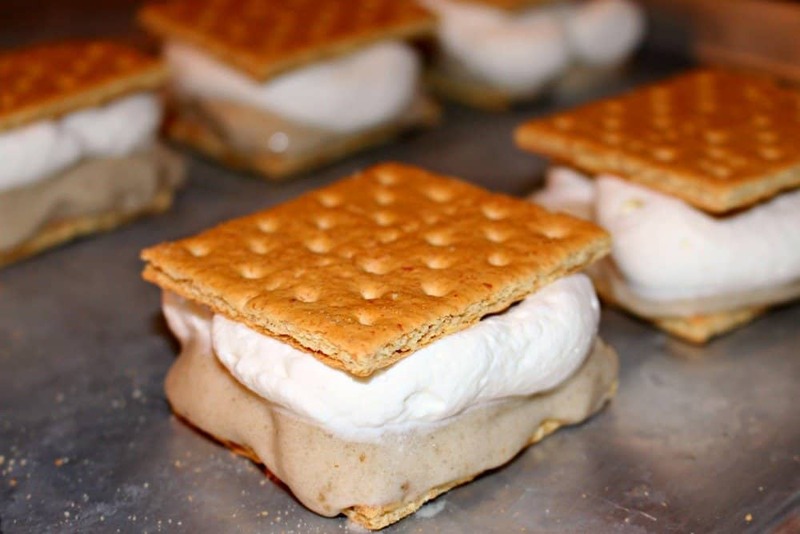 These ice cream sandwiches can also be customized with various toppings to please every pallet. 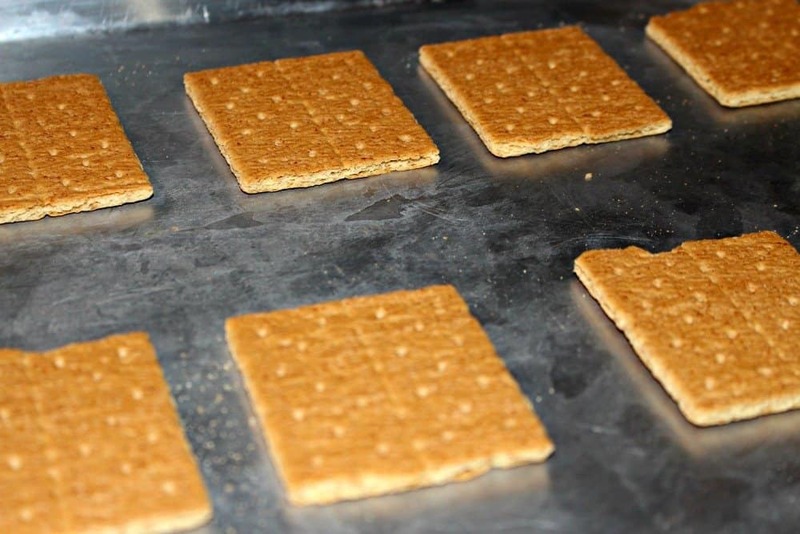 Break the graham crackers in half and lay 9 squares down on the baking sheet. Place the baking sheet in the freezer to get cold. This will be important later while you are assembling the sandwiches. Next, throw the frozen banana chunks into the food processor until they reach the consistency of creamy soft-serve ice cream. 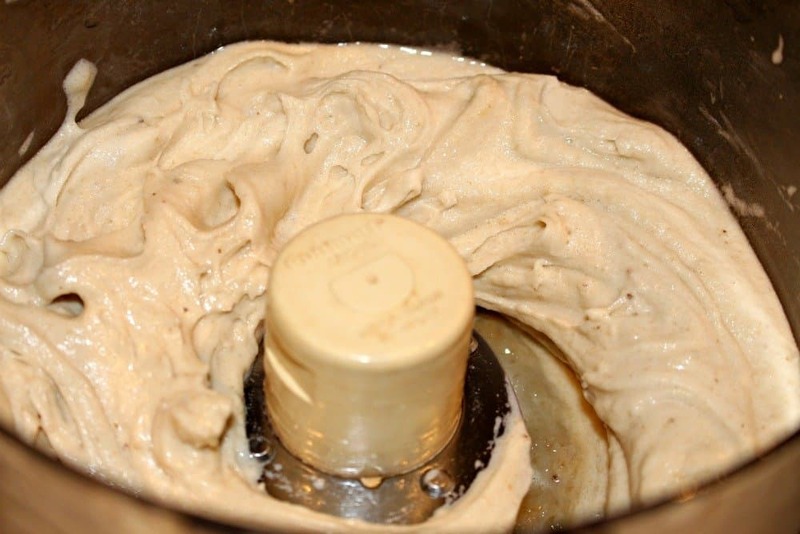 Spoon the frozen banana puree into a gallon sized press and seal bag and cut off one of the corners. Use the bag, to squeeze the frozen banana puree onto the 9 graham crackers. 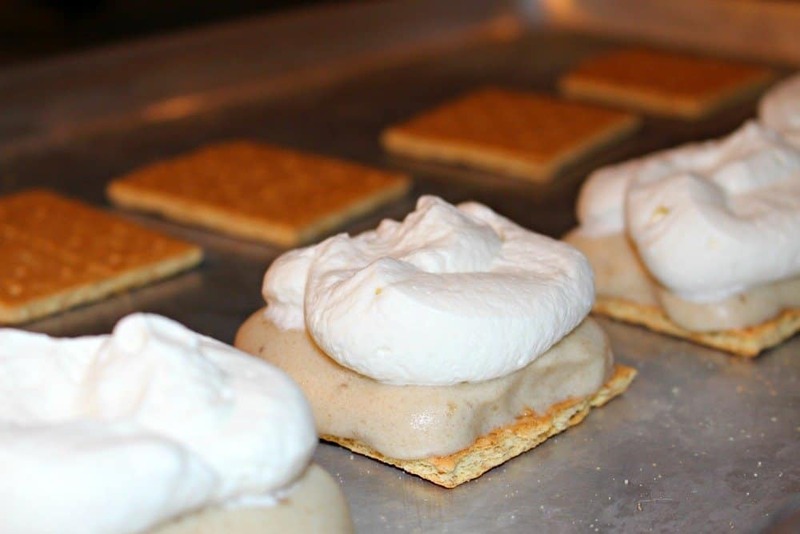 When all of the crackers have frozen banana puree, repeat the process with the whipped cream. Unless you are using the canned kind, in which case, you can apply it straight from the can, instead of using a bag. I made my own from scratch, so I used a bag. Here’s a quick recipe if you’d like to make your own too! Now, they are ready to be topped with a second graham cracker square. If desired, you can also add chocolate chips or nuts around the edge. To do this, sprinkle the toppings on a plate and gently press the edges of the sandwich into the pile. When sandwiches are complete, place in the freezer until firm. Happy Cooking! Don’t forget to check out our other amazing recipes!